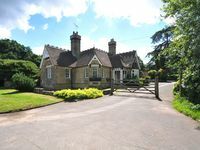 Cozy cottage, wood burner, private courtyard, parking, restaurant and pubs 500m. Property 4: Cozy cottage, wood burner, private courtyard, parking, restaurant and pubs 500m. 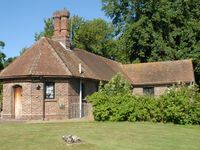 Pipe Cottage is a perfect base for cycling, walking & discovering 1066 county. Property 17: Pipe Cottage is a perfect base for cycling, walking & discovering 1066 county. Property 26: 4 star tourist board rated. Truly rural, on a farm. Pet friendly. Peaceful area. Excellent location and very spacious for 4 adults and two kids. We loved our recent week at Brasted Lodge. We came from America and didn&rsquo;t know what to expect and we were not disappointed in the least! The location was so perfect for our daily sightseeing trips. 1 hour to Brighton Beach, Hever Castle was just a short trip, Windsor was a little over an hour away and the train we took into London left from Oxted just right down the road. We were able to get a family pass for &pound;30 for the four of us that included our train ride and all subway and bus rides in London as well. Our furthest drive was to Stonehenge and Avebury which took about 2 hours. The lodge had everything we could have needed and was well stocked with towels and linens. The bathrooms and kitchen were updated and very nice. The house stayed so warm when the temperature dropped at night. Our two boys loved the WiFi access and the tv and movie selections. We would love to return again and would definitely spend our time here at this wonderful gem. Thank you so much!